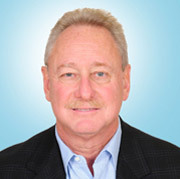 Founder/Owner of Multifuels, LP, 40 years experience in the energy industry. The last twenty years in energy infrastructure development and operations across the energy spectrum. Multifuels has developed pipelines, terminals, natural gas storage, various forms of renewables all under Mr. Gibbs direction. Prior experience in all commercial aspects of trading and marketing of refined products and feedstocks as Founder of Texport Oil, a preeminent trader/gasoline blender and marketer from the late 1980’s thru the mid 1990’s. Prior experience in downstream oil terminaling, rack marketing and refined products distribution operations for Gibbs Oil Company in the 1970’s to early 1980’s.